ZNVS series transformer evacuation system/ vacuum pump set is a new type of vacuuming equipment developed and produced by our company. 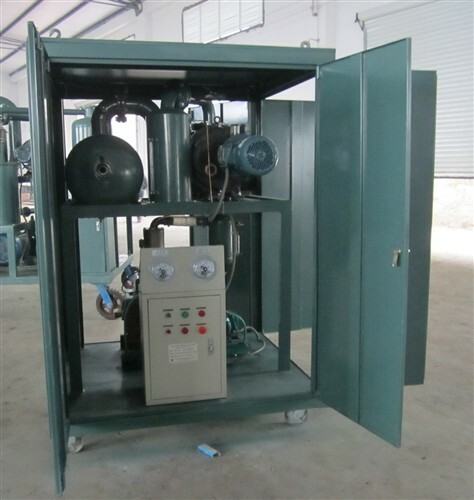 It is widely used in the process of producing vacuum condition for various equipment. Its vacuum pressure can reach much lower than any other products in the same field. It is not suitable for the vacuum process for air and gases containing too much powder, water and oxygen as well as explosive, corrosive, poisonous and chemical substances. Transformer Evacuation systems are classified based on the type of mounting of the system. Following are the types of mounting. · It’s equipped with a control panel for controlling the operation of pumps. · Stable and reliable operation, low noise, and easy to move. Transformer Evacuation systems are further classified based on the flow rate/capacity of the system ranging from 10 CUB. MTR/HR to 2500 CUB. MTR/HR.